Yesterday’s challenge was to list things that I could not control and start learning ways to accept that and be happy with them. I’m not a control freak. But I often do hold myself accountable for things beyond my limits. Before my list, an explanation of the title of today’s blog. Charlie Jones is a sportscaster who has covered several Olympic games in his long career. At the 1996 games in Atlanta, he was assigned to announce the rowing, canoeing, and kayaking events — a situation that left him less than thrilled, since it was broadcast at 7am and the venue was an hour’s drive from Atlanta. What Jones discovered, however, was that it ended up being one the most memorable sports events in his career, because he gained a chance to understand the mental workings of these Olympic athletes. 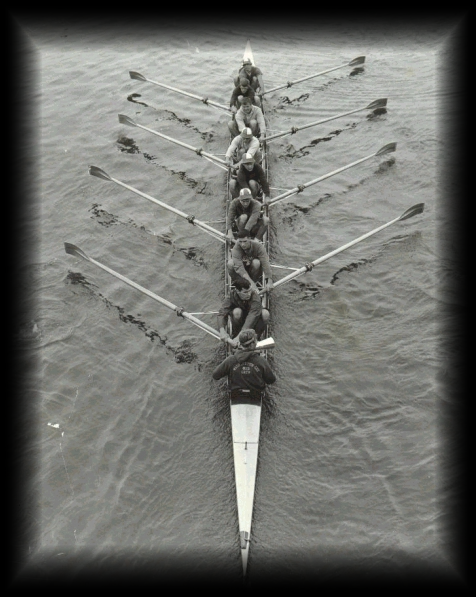 Preparing for the broadcast, Jones interviewed the rowers and asked them about conditions such as rain, strong winds, or breaking an oar. Each time the response was the same: “That’s outside my boat.” After hearing the same answer again and again, Jones realized that these Olympic athletes had a remarkable focus. 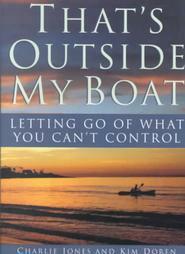 In their attempt to win an Olympic medal, he writes, “They were interested only in what they could control… and that was what was going on inside their boat.” Everything else was beyond their control, and not worth the expense of mental energy that would distract them from their ultimate goal. So, whats outside my boat? For the most part this is a fairly easy thing for me to do. Those of you that know me know I am an incredible optimist and I am forever saying “stop worrying about things that aren’t in your control”. And if it is something in control you shouldn’t worry about it either you should do something about it. On the other hand, accepting that you can’t control something can be a different story. One big thing popped into my mind immediately : I can’t control how other people react or treat me. You see, I consider myself a good person. I put other people first, I treat everyone well and I give my all for those I know. At times I naively expect the same thing back and am often frustrated when that doesn’t happen. For a reference point see the day 2 blog entry. So in those situations I shouldn’t waste time wondering what I did, why they react negatively and what I could have done differently. What I should do is realize I can’t control what and how they feel. All I can do is be me and if they don’t like it then so be it. Time to move on. As a friend of mine says : “NEXT”. So when you find yourself in situations where you can’t control the outcome, find a positive way to focus your energy and thoughts. This is also a great way to keep stress down in your life. It will put you in a better mood and those around you as well (yes most everyone can tell when someone else is stressed out). * Physical limitations : I can’t play basketball. I just don’t have the skills or the height. And I’m ok with that. But what I can do I’m gonna do the best I can. * Someone else’s choices : Not everyone has the same upbringing, morals, experience, and background. Some people will make mistakes, over and over again, even when they ask for advice. All you can do is be there for them and support them when you can. If that doesn’t work then sometimes hard choices have to be made and it may be time to move on. * As silly as it sounds, I can’t control traffic. It’s part of living in Atlanta. Sometimes a 15 minute trip turns into a 30 minute or 45 minute or even longer trip. Getting stressed and complaining about it won’t make the traffic go away. So what’s the purpose of this? By realizing what I can’t control means I can focus my energy on things I CAN control and where I can make a difference. That, my friend, is called EMPOWERMENT. And that is what betterME is about — getting myself into a position where I make choices and put myself in places instead of relying on others. And for today the challenge is to have a day of rest! And the weekly challenge for the coming week starting tomorrow is to Go Green where possible. OK folks, heading into the last week and I feel good. Thoughts? Comments? Other suggestions/challenges? This entry was posted on June 26, 2011 at 3:56 pm and is filed under Comfort Zone, Control, Empowerment, Encouragement, Limits, Relationships, Self Improvement, Social, Stress. You can follow any responses to this entry through the RSS 2.0 feed. You can leave a response, or trackback from your own site.